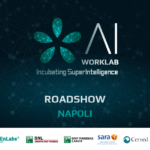 Today is Selection Day for startups and talents who applied for AI WorkLab, the incubation program dedicated to the Artificial Intelligence sector and launched by LVenture Group and LUISS ENLABS in partnership with BNL Gruppo BNP Paribas, BNP Paribas Cardif, Sara Assicurazioni, Cerved Group, and Payback. (partners' name) examined the applications to select the teams who will join the incubation program. 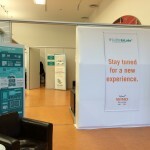 "Ten selected teams will have access to a three-month program aimed at transforming their business idea into an MVP with the support of the experts from LUISS ENLABS team and partner companies. 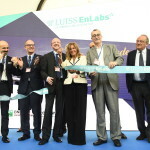 Moreover, they will receive a 2,500 euro equity-free grant" said Augusto Coppola, Managing Director of the Acceleration Programs of LUISS ENLABS talking about the strengths of the program "We believe the Artificial Intelligence sector - a growing market that, according to estimates, will reach a value of over $ 59.8 billion by 2025 - is particularly interesting and for corporates it offers great opportunities for value creation and at the same time, in a competitive scenario, it presents great challenges. 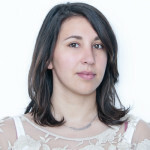 Participating in a program like AI WorkLab, studying this industry and working actively to apply AI in different areas, is, therefore, an unmissable opportunity for those who want to keep pace with the times." The call to participate in the program, opened to startups, team and individual talents, has been opened from August 31st to November 3oth. 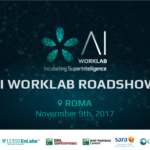 During October and November 2017, LVenture Group, LUISS ENLABS, and the partners went to Turin, Trento, Pisa, Rome and Naples for a roadshow aimed at explaining AI WorkLab and meeting dozens of candidates. Overall, we received about 200 applications from all over Italy: selected teams and individual talents will be contacted in the next few days and officially announced on January 16th, 2018. During the first few weeks of the program, individual talents will be assigned to incomplete teams according to their skills.